Sage Microelectronics (SageMicro), a four-year-old company based in Hangzhou, China, plans to release an 8TB solid-state drive (SSD) next month as it attempts to break into the U.S. market. The company, which emerged from quiet mode last year, already sells a 5TB SSD in a 2.5-in. form factor, along with SD cards and NAND flash memory controllers. The 8TB SSD simply adds another stack of eMMC flash memory crammed into a 9.5mm-high SSD. What makes SageMicro different from most other SSD makers is that it uses eMMC, or embedded MultiMediaCard technology, which is the dense flash storage typically used in mobile devices such as smartphones. 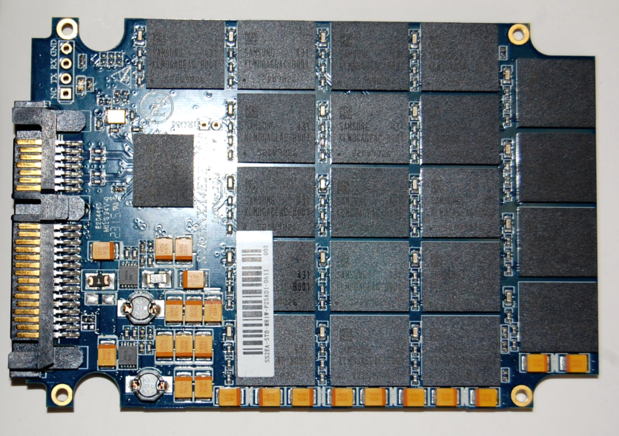 An internal view of SageMicro's 5TB SSD. SageMicro would presumably lead the industry in terms of 2.5-in SDD capacity if it does begin selling a 8TB SSD next month as planned. Jerome Lou, SageMicro's founder and CEO, said his company is already testing a 10TB SSD in house and expects it will ship sometime next year. While SanDisk now sells a 4TB SSD and hopes to release an 8TB version this year, there are no 10TB 2.5-in SSDs on the market today. Samsung has developed a 15.36TB SSD based on a 2.5-in. form factor, but there are few details about when it may actually go into production. The advantage SageMicro has over other NAND flash SSD companies, according to Lou, is that it uses a denser multi-chip package. Each eMMC flash chip package offers 128GB of capacity versus 32GB packages used in other SSDs. A major tradeoff SageMicro made in order to pitch a drive with industry-leading capacity is the lack of DRAM memory on board. No DRAM means more space for NAND flash. A look at the eMMC chip package on the PCB. DRAM in SSDs is used to cache write operations and pre-position data before it's written to the flash memory, which helps increase drive performance and endurance. Lou, however, argued that eMMC flash has less need of DRAM because it comes natively with ECC. "Another advantage is that everyone builds SSD controllers with wear leveling and ECC for each flash channel. So you have an ECC controller with ECC and wear leveling for all 8 or 10 channels," Lou said. " We don't care about ECC... eMMC has its own controller that takes care of ECC. That way, our controller can deal with more channels and packages of eMMC chips." Troy Rutt, SageMicro's U.S. sales director, said the SSDs are extremely durable multi-level cell (MLC) NAND flash memory versus triple-level cell (TLC) flash that's used in many commodity SSDs today. MLC stores two bits of data per memory cell and TLC memory stores three, which requires more error correction code and tends to wear memory faster. "If the circuitry holds up, you could do 10 writes per day for 10 or 15 years," Rutt said. SageMicro currently uses flash from Samsung, but plans to begin purchasing its memory from Intel, Rutt said. Because it uses no DRAM, SageMicro's SSDs are also markedly slower than other 2.5-in SSDs -- even consumer models, which can boast read/write rates exceeding 500MB/s. SageMicro's 5TB SSD using a SATA II interface has a maximum read/write rate of 200MB/s. "Our drives will continue to be slower, but we haven't found it to be a deal killer right now," Rutt said. Rutt said the SSDs are still vastly faster than hard disk drives and offer capacities that are attractive for enterprise applications, where the drives are being marketed. 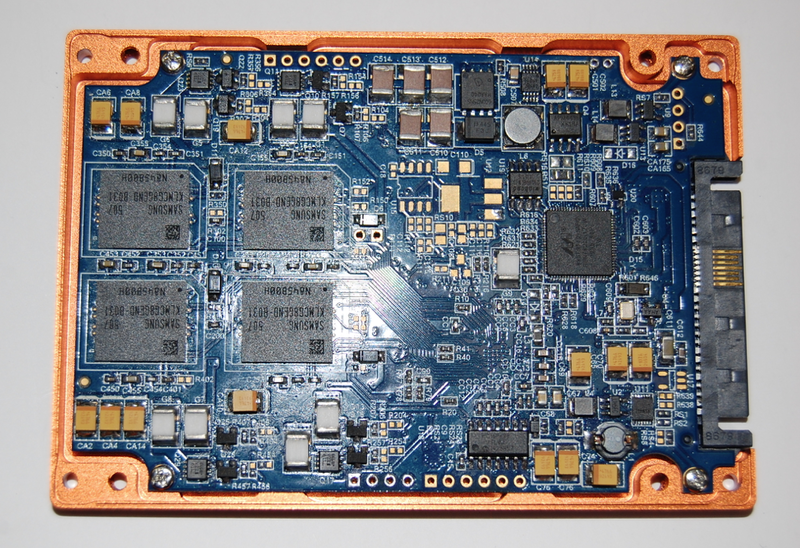 A close-up view of the PCB on SageMicro's 5TB SSD. Jim Handy, an analyst with Objective Analysis, said that while the drives are slower than other SSDs, there's still a market for high capacity flash drives -- even if they aren't cutting edge in performance. "Even though most companies focus a lot of attention on IOPS [I/Os per second], a lot of SSDs that are used in embedded applications like POS terminals, industrial controllers, and even tablet PCs, don't need much speed," Handy said. SageMicro's SSDs are also pricy. A 5TB model runs north of $5,000. The high price of the drive reflects what Rutt said is a highly resilient product, capable of withstanding temperatures of -40 to 85 Celsius. Knowing it wouldn't be able to compete on a level playing field against the likes of Intel, Micron and other big-name SSD makers, Sage Micro decided instead to be different, and different meant not only large capacity but also unusual features. "We didn't want to roll up with a 1TB drive like everyone else. We're not going to be better than Intel and we're not going to be cheaper than Samsung," Rutt said. "So, we need to be different." 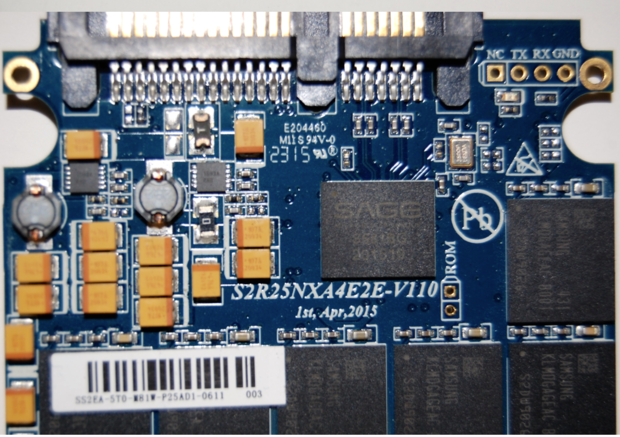 One "different" feature SageMicron sells are SSDs with a "Smart Destruction" function. The Smart Destruction feature can be set to erase encryption keys, perform a drive erase or physically fry the memory chips with a pulse of high voltage. The Smart Destruction mode can be triggered using a digital timer, a mobile phone instruction, or by simply pressing a button. "Yes, it actually smokes sometimes when you push the button," Rutt said. "People like that." The drives also come with 256-bit AES encryption and SageMicro is hopeful it will soon receive its FIPS 140-2 certification, which would make them compliant for use with government applications. SageMicro is not the first Chinese state-backed company to attempt to make inroads into the U.S. data storage market. China's Tsinghua Holdings, for example, plans to buy a 15% stake in U.S.-based Western Digital. To date, SageMicro has seen little in terms of U.S. sales. It's been focused on selling to the Chinese government and military. SageMicro believes its highly dense drives will enable it to sell double whatever competitors have. "So when...you're able to buy a 5 or 6 or 8TB drive from Samsung, we'll be putting out 20TB drives in the same package," Rutt said.